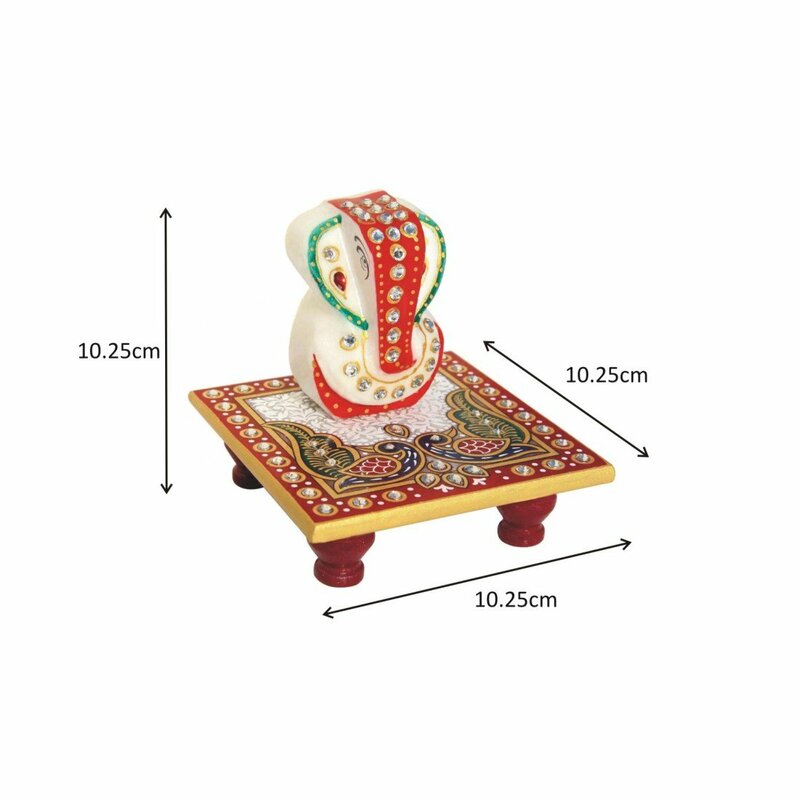 beautiful Multicolor Meenakari Work Lord Ganesh Ji with chowki for decorative handmade art add Royal Ambiance to your Home. Best quality of stone such as marble is used for the creation of these statues. House Warming Wedding Occasion & Corporate Gifts. 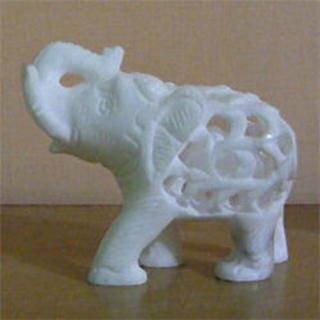 It is made from pure white makrana marble. 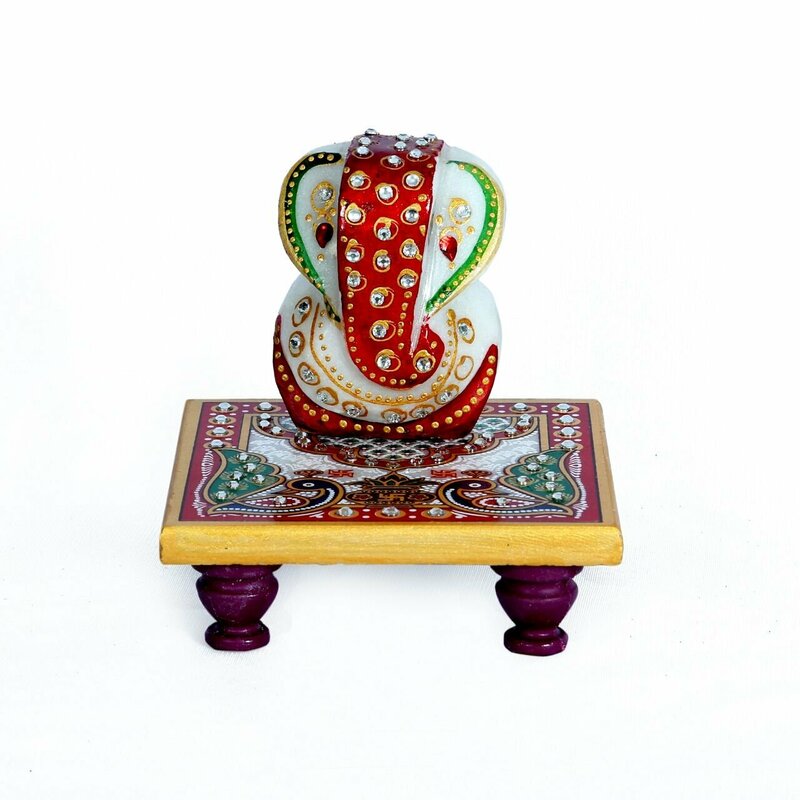 This marble chowki and Ganesh are handmade and hand painted using emboss work, enamel, and stonework. 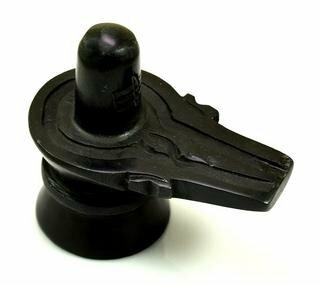 It can be placed in the Pooja room, living room or drawing room to give a divine feeling. 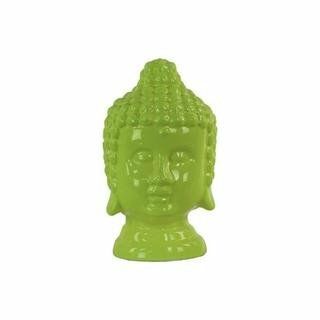 It is a perfect gift for puja gifts, return gifts, wedding or housewarming or festive occasions. 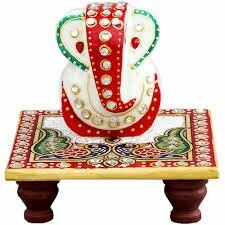 Lord Ganesha on chowki in marble give a traditional and auspicious feel. In Indian mythology, Lord Ganesha is a symbol of remover of obstacles and prosperity. It is an ideal gifting choice and an equal asset to your interiors traditional colors, gold painting and kundans further add beauty to it. Being handcrafted, it may have mild variations in the design and color. It can be a good gift for wedding and anniversary and religious occasions, festival and house warming.